Here at NL Towers, we’re partial to a bit of Blade Runner. We love the original 1982 film, in all its guises, and we adore the 2017 sequel. Oh yes, we can recite the C-beams speech verbatim, and more besides. 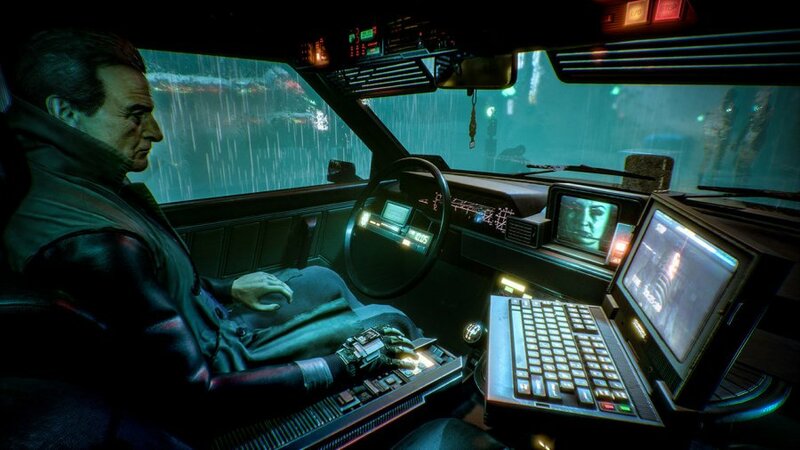 However, we must concede that we probably don’t like Blade Runner quite as much as Bloober Team does. References aren’t so much ‘on the nose’ in Observer as ‘stuffed down your ears, nose and throat’. From its white-and-red opening text to the high-collar silhouette of its protagonist, it’s in thrall of Ridley Scott’s sci-fi classic. It’s a testament to the Layers of Fear developer’s talent that the game feels fresh and interesting, despite the cavalcade of sci-fi clichés. Rutger Hauer – yes, Roy Batty himself – is put to great use as the eponymous observer, Daniel Lazarski. His voice and likeness are front-and-centre in a detective narrative that’s chock full of old chestnuts (addictive substances, tech viruses, shadowy corporations – are there any other kind? 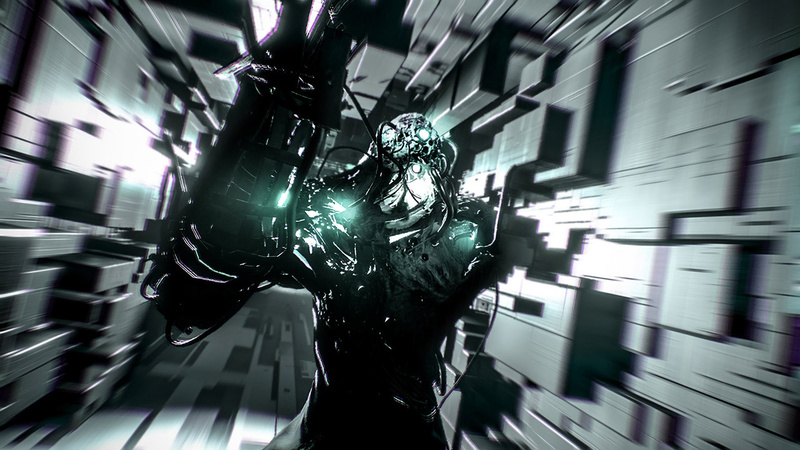 ), yet somehow manages to produce a compelling slice of first-person cyberpunk horror from tired tropes. 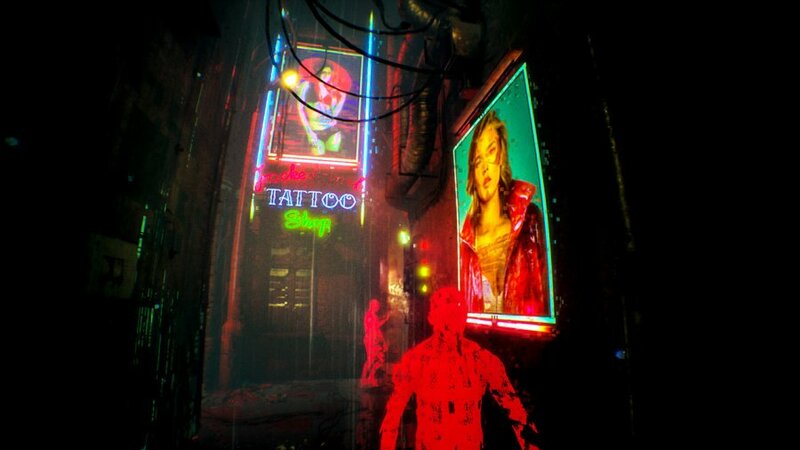 Beyond transhumanist nods to electric sheep, its gruesome depiction of splicing and body enhancement whiffs of Bioshock, too. It’s 2084, and Lazarski arrives to investigate a grisly murder in a run-down apartment building. An unexpected lockdown prevents you from leaving, but your investigations take you around the structure – modelled on a real tenement block in Kraków, fact fans – as you track the killer. Lazarski finds answers by plugging directly (and illegally) into cerebral nodes of deceased victims to ‘observe’ their fragmented memories. Hauer’s gravelly delivery works beautifully throughout, although it occasionally feels like you’re in a recording booth with him over your shoulder. You’ll snoop around crime scenes for clues, finding material on PCs and playing minigames in squalid, blood-spattered rooms. Knocking on doors lets you interact with residents over the intercom and the foul-mouthed voice work is strong. To say more would spoil the surreal surprises in store, but familial connections complicate Daniel’s investigation. Those expecting the fast movement of a shooter might find the game’s walking pace frustrating at first. Clicking and holding the left analogue stick activates a screen-warping jog, but you still won’t be zipping around like a space marine. You interact with objects (door handles, intercoms, plugs and the like) by tapping ‘ZR’ on icons. The Joy-Con gyros can be used to push and pull doors, although it’s a tad finicky and we stuck to the right stick. Default sensitivity felt sluggish; we turned it up in the menu. Lazarski is equipped with two types of detective – sorry, augmented – vision which sit on ‘L’ and ‘R’ respectively; one highlights scannable biological signatures, the other electromagnetic waves. These aid him in solving some light environmental puzzles and there’s a certain pleasure in looking around and analysing the filthy environments for clues and collectables, although snapping between the two modes – plus night vision when things get especially dark – gets a little laborious, despite the neat pulsing sonar effect. In fact, we preferred the memory ‘dives’, where Lazarski observes other people’s nightmarish recollections. Here, you’re given the willies through atmospheric vignettes without the distractions of detective vision. Eerie offices, discotheques, austere rooms and forests are all connected through Lynchian dream geography. Phasing, flickering figures and tumbling furniture fill each space and these linear ‘shows’ are arguably where Observer’s surreal scares work best. That’s not to say the ‘real’ world is dull, mind. You’re free to explore the building, but it’s ultimately a confined, controlled space enabling Bloober to drill down on rich, grimy detail. A drug known as Synchrozine dispels distracting artefacts that flicker on-screen, helping Daniel maintain a grip on a reality where biological and technological distinctiveness are increasingly (and gorily) ill-defined. Evocative lighting is used throughout; Lazarski’s body casts a dynamic shadow on his surroundings and is visible when you look down or call up your watch interface GoldenEye-style. These effects build atmosphere beautifully, but they come at a cost on Switch – you’ll notice framerate drops here and there, and doors occasionally refuse to open until the geometry behind them has loaded. Thanks to the nature of the game, these drops and pauses don’t directly impact gameplay – this isn’t a high-octane shooter, after all. Over the seven-ish hours we spent with the game, we experienced one freeze in the final stretch which forced a reset, but the regular autosave meant it was no sweat. A handy (and brief) written recap reminds you where you were with the story. There’s another caveat, too: docked mode. We’ll await Digital Foundry’s write-up for the final word, but this port doesn’t look great on the telly. As noted by Alex in his preview, there’s plenty of narratively-justified visual noise which ‘disguises’ some of the issues in such a way that performance issues and authorial intent are easily confused. Perhaps taking another Synchrozine pill will clean the Vaseline from the lens, we thought, though overdosing on pills floods the screen with motion blur anyway. The low resolution is more noticeable than in something like DOOM, where constant movement means you’re rarely scrutinising a static screen. The story provides a perfect alibi for jittery performance, but the murkiness left us disoriented in docked mode. Thankfully, Switch’s 720p screen makes things look much tidier in your hands. What you lose in big screen immersion is arguably regained through the intimacy of handheld mode, and while personal preferences will prevail, turning the lights off and plugging in a pair of decent headphones arguably heightens the tension. You also get the added benefit of touchscreen input on menus and number panels. Some effective use of HD rumble rounds out the sensory experience. The distinction between man and machine in modern sci-fi tends to blur more than it did in 1982. 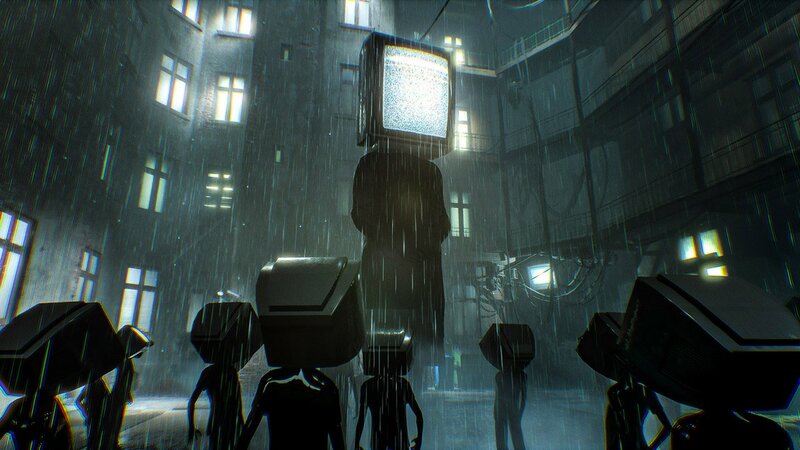 Observer leans into Cronenbergian body horror more as it progresses and begins forging its own identity, although ultimately the story doesn’t quite live up to the promise of its world. Being a video game, it ends with a choice and, without entering spoiler territory, it felt less impactful than we’d hoped. After the more radical ideas of, say, Blade Runner 2049, perhaps we were expecting too much. Don’t get us wrong – it’s still good stuff, but you won’t be chewing over in the days and weeks that follow. 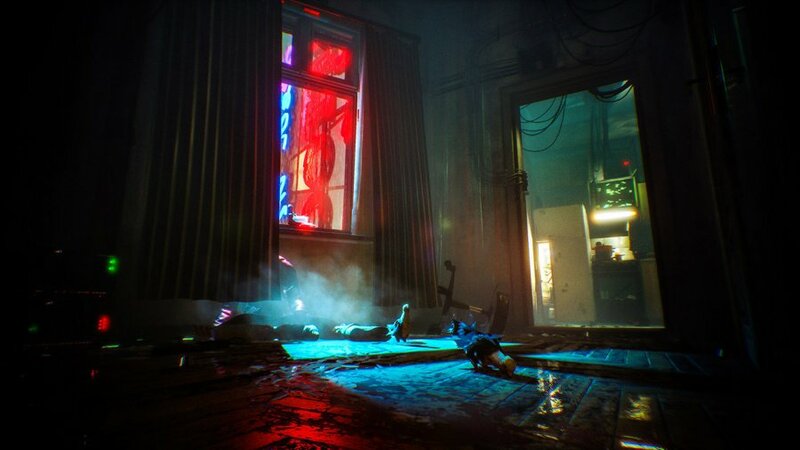 Despite threatening to fizzle under the weight of its reverence for Blade Runner, Observer manages to craft an impressive and affecting horror experience on Switch that doesn’t outstay its welcome. It’s arguably at its best when you surrender to the barrage of imagery and sounds rather than scanning pools of blood with detective vision. This port walks a technical tightrope and falters a little in docked mode, but fares much better as a handheld experience – its ambition and rich world-building are admirable enough to make up for any technical shortcomings. If Bloober Team doubles-down on the horror genre and keeps producing work of this quality, we’ll gladly play whatever’s next in the pipeline.